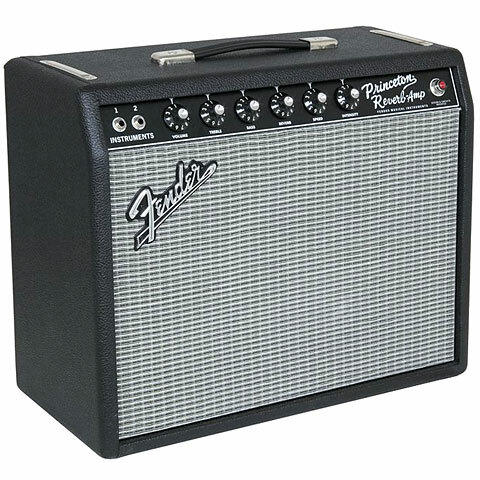 The Fender '65 Princeton Reverb tube guitar amplifier brings back the classic vibe and tone of the original legendary amp. Whether you're using it for practice, in the studio, or for smaller live rooms, the '65 Princeton Reverb shines. This all-tube combo puts 15 watts into a single specially voiced Jensen 10-inch speaker for a wide range of guitar tones. Plug straight in for Fender clean tone, or generate your own signature sounds with your favorite stompboxes. You also get great-sounding vibrato and reverb onboard the incredible '65 Princeton Reverb! This single-channel amplifier has 2 inputs, reverb and vibrato effects with an included footswitch, and control knobs for Treble, Bass, Reverb, Speed, and Intensity. The tube complement consists of a trio of 12AX7s, a 12AT7, dual Groove Tubes 6V6s, and a single 5AR4 rectifier tube. 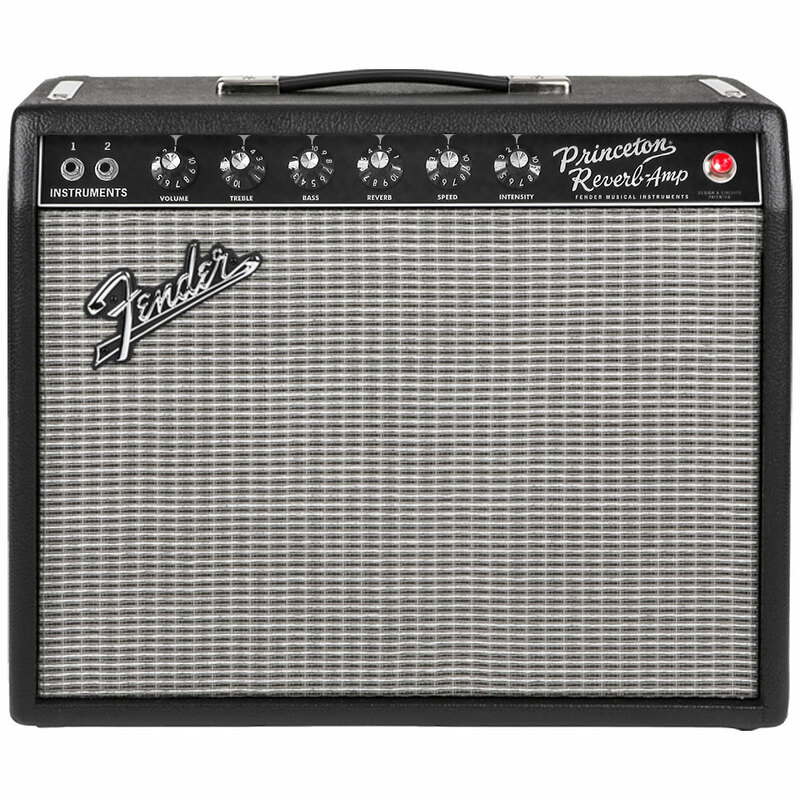 The Fender Priceton Reverb combo is covered with tough vinyl, and Fender ships the reverb amp with a vinyl dust cover. The Fender Vintage Series consists of reissues of legendary Fender amps with premium quality and an excellent Vintage-Tone. Subtle modifications might be possible.